A balanced vegetarian diet helps in the prevention and treatment of many chronic diseases while being nutritionally adequate. A large body of scientific literature suggests that the consumption of a diet of whole grains, legumes, vegetables, nuts, and fruits, with the avoidance of meat and high-fat animal products is beneficial. The reason being, the risk of developing obesity, high blood pressure, high blood cholesterol levels, stroke, type II diabetes, gallstones, constipation, and cancer are lower. Vegan diet excludes all animal-derived foods including meat, poultry, fish, eggs and dairy products. It consists of plant foods including grains, pulses (including soy products), nuts, seeds, fruits and vegetables. Research by nutrition experts has shown that a vegan diet can reduce cholesterol levels as effectively as the latest and most expensive cholesterol-lowering medications. The researchers speculate that humans may be particularly suited to a vegan diet because the human body originally evolved on the same kind of diet eaten by apes in the wild, with high levels of fibre and vegetable protein. Fewer vegetarians than meat eaters suffer from diseases of the heart and arteries. The dietary factor most directly related to coronary artery disease is saturated fat, and in general, vegetarian diets are lower in total fat, saturated fat, and cholesterol than typical meat-based diets. 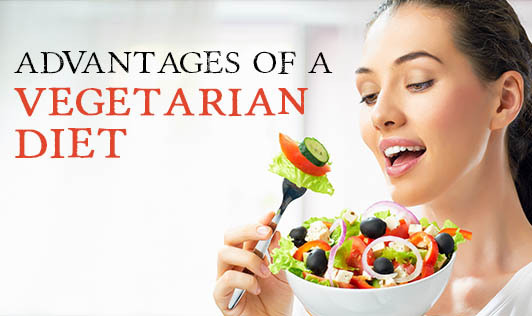 Vegetarian diets are also higher in dietary fibre, another factor that helps control blood lipids. Additionally, the fruits and vegetables provide the body with vitamins, antioxidants and minerals that help to keep heart diseases at bay.